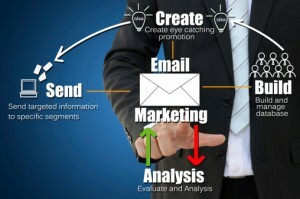 E-mail marketing campaigns have fast become crucial when it comes to speaking to an existing audience. For marketers, figuring out the content that will be sent to this audience at whatever rate has been decided is one step, but analyzing how the content has been consumed is another. Typically, marketers depend on open rates and click-through rates to substantiate the success of their e-mail campaigns. Those are definitely important initial determining factors, but to really get a clear picture of whether or not an e-mail campaign was successful and to acquire a good reading on how to adjust the campaign, deeper analysis must be conducted. While there is more to understanding the success of an e-mail campaign than open and click-through rates, knowing how to read these two variables is important. While average percentages vary depending on industry, a standard average for open rates is approximately 21.7%. If your open rate is significantly less than that, then consider revising your subject line, ensure your database is up-to-date and properly segmented, and be sure that your content is relevant to the target. Click-through rates need to be properly assessed as well. As important as subject lines are to open rates, calls to action are equally as important for click-through rates. The acknowledged average is 3.3%, so anything below that should send signals to marketers of a need to improve or add stronger calls to action in their content. The number of subscribers who choose to unsubscribe is one that needs to be watched carefully. If a sudden surge in people unsubscribing occurs, rethink the frequency of e-mails and think about the time you are sending them out. If your targets live in different time zones, it would be beneficial to use an application that allows time matching for your campaigns. Really focus on when your subscribers are opening your e-mails and follow the standard rule of only sending business e-mails between Tuesday and Thursday. After you’ve looked at the initial stats, it’s time to take things a step further and do some thorough analysis of how your audience is consuming the content you’re sending them. One determining factor is time spent on a site; how long each subscriber spends on a site is a good way to interpret how engaged they are with your content. If the bounce rate is high or subscribers are only briefly visiting your site for a very short period of time, then consider changing the design of your landing page and adjusting the content. But having excessively long periods of time spent on your site may not necessarily be a positive thing, especially if conversions aren’t increasing. This could indicate that consumers are certainly interested, but aren’t able to make up their mind. As a marketer, you may need to add more clear calls to action to help push the consumer to make a decision. One thing you need to know is that analyzing data from e-mail campaigns is an ongoing process that continues with each campaign. You should constantly be assessing what worked and what didn’t and how you can improve the results with each subsequent campaign. Macromark is able to broker lists that assist in reaching the proper targets and ensuring that those targets are properly segmented. 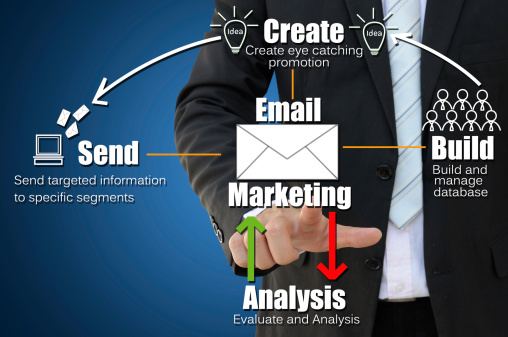 We have a successful record of direct e-mail marketing and can jumpstart your campaign. Rose, J., “Analyzing Email Marketing Results,” Mailigen.com, October 15, 2014; http://blog.mailigen.com/analyzing-email-marketing-campaign-results/.